A project to build a $31-million steel-processing plant in Kampong Speu province was recently greenlighted by the government, according to an announcement by the Council for the Development of Cambodia earlier this week. The first industrial park for small and medium enterprises in the Kingdom will open this October in Kandal province, just 12 kilometres from the centre of Phnom Penh. National and international tourists can now access the new Apsara Authority’s website on Angkor Archaeological Park to learn about history of the Khmer empire, interactive map, Angkor Visitor Code of Conduct, purchasing tickets, travel tips, and plan the itinerary off the beaten tracks, according to the announcement dated on 21 June 2018. South Korean-based Woori Bank has bought out local lender VisionFund (Cambodia) for an undisclosed amount, the bank’s spokesman Daniel Chang said on Monday. Cambodian member of parliament of Kompong Speu constituency Hun Many said that the strong relations between Cambodia and China will never change, but cemented from day to day, particularly during Prime Minister Hun Sen and President Xi Jinping terms. A senior environment officer for the United Nations Environment Programme (UNEP) on Monday urged the Ministry of Environment to prepare a waste management system for plastics and to strive for clean air in the country, particularly in Phnom Penh. The Cambodian Mine Action Centre has called for all retired staff and families of deceased staff to contact its office to get a pension under its Royal Cambodian Armed Forces status. European Chamber of Commerce in Cambodia (EuroCham) said on Tuesday that EuroCham will organize the EuroFair for three days, starting from 29 June 2018 at Diamond Island Exhibition and Convention Center Phnom Penh to promote and expand business networkings between Cambodia and European companies. Prime Minister Hun Sen on Monday shot another arrow at the Kingdom’s relations with the US, calling his country’s yet-unpaid loan of $500 million borrowed by the regime of Lon Nol “a very dirty debt”. The National Authority for Combating Drugs yesterday celebrated International Day Against Drugs under the theme Together for Our Drug-Free Life and Community, during which it destroyed 64 kilos of drugs worth about $2 million. Has Hun Sen’s embrace of Beijing loosened the CPP’s relationship with Vietnam? Stung Treng immigration police force of the General Department of Immigration, on Tuesday, cracked down on a drug trafficking case and confiscated 120 kilograms of methamphetamine. 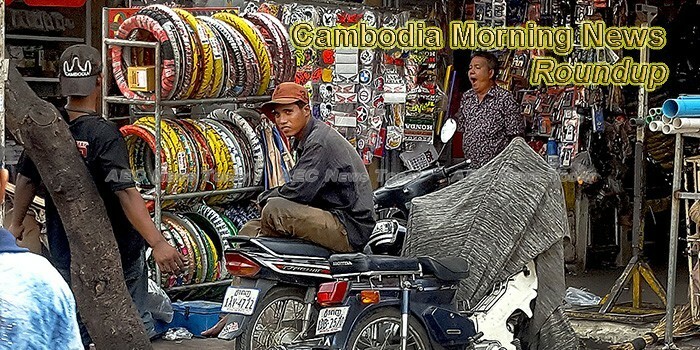 Historically, Cambodia has stood in opposition to gaming for decades. Since the Communist Revolution and the emergence of the Khmer Rouge in the 1960s, the Cambodian government said its citizens were above social ills, such as gambling, drinking, and drugs. Shanghai-based Join.In Hospitality Management plans to expand the Tonino Lamborghini Hotels & Resorts brand outside of mainland China, according to a report from TTG Asia.